An impressive three animated films reached the top ten at the North American box office last weekend. Robert Zemeckis’s A Christmas Carol held steady in the number five spot with $15.8 million. Its total after four weeks stands at nearly $105M. In its second weekend, Planet 51 dropped to 7th place with $10.2M and a total of $28.5M. The film’s performance hasn’t been as disastrous as Astro Boy and should end its run in the mid-$40M range. 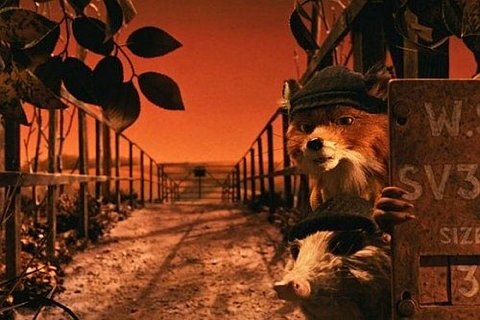 Wes Anderson’s adaptation of Roald Dahl’s The Fantastic Mr. Fox went wide and settled for ninth place. It took in $7M and boosted its three-week total to $10M. The film had a better per-theater average than Planet 51 ($3,426 vs. $3,367), but it’s a disappointing performance for what I feel is one of the most charming and unique animated films in recent memory. Placing outside of the top 10, Disney’s The Princess and the Frog raked in $786,000 from just two theaters. Inflated ticket prices at the two theaters account for the large box office take. The film’s real test will be in a couple weeks when it goes wide, though there appears to be little doubt that Princess and the Frog will be a success. This entry was written by kelvin, posted on November 30, 2009 at 3:59 pm, filed under Animation. Bookmark the permalink. Follow any comments here with the RSS feed for this post. Trackbacks are closed, but you can post a comment.